SFTP or SCP is very popular protocol to transfer files between hosts in Linux world. Linux distributions provides a lot of tools to use SFTP or SCP operations. Windows side have very good solution for SFTP or SCP. 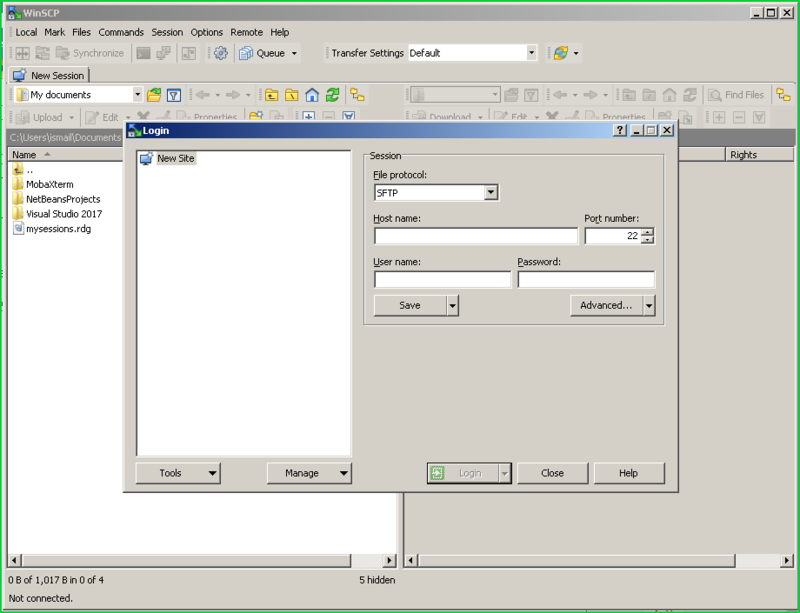 WinSCP is very popular and featureful tool used to download upload files via SSH, SCP, SFTP, FTP etc. In this tutorial we will look how to install WinSCP. 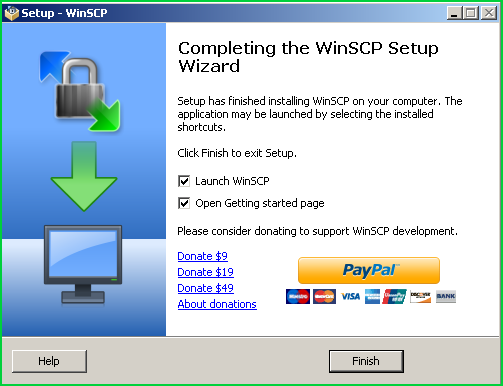 We can download WinSCP from following link. 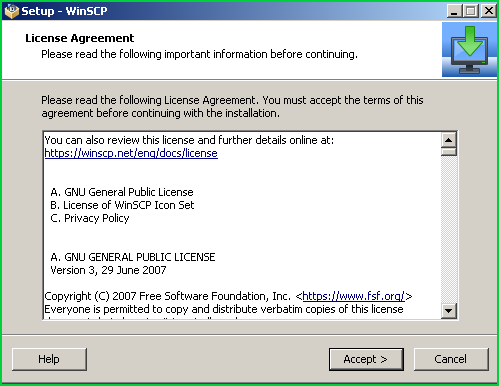 If we have do not have rights to install WinSCP we can prefer the portable version of WinSCP. Just extract downloaded file and start WinSCP. 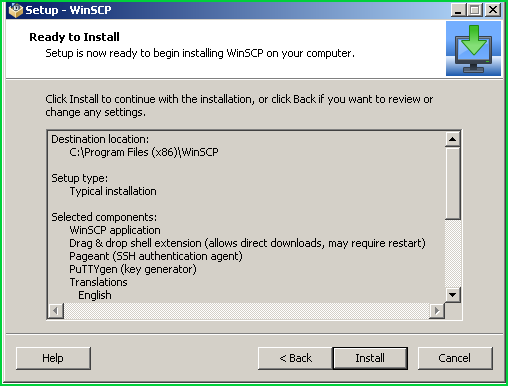 Now we will start WinSCP installer by clicking downloaded installer. 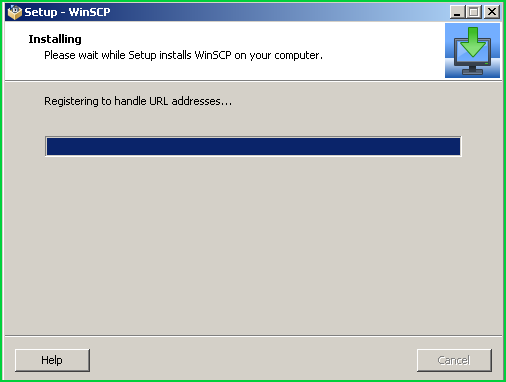 For this installation the executable file name is WinSCP-5.9.6.-Setup.exe . We will Accept the license and continue for installation. There is two installation type. Typical installation suits for the most situations. Custom installation will provides modification of install modules. This is unnecessary configuration for installation step. there is two GUI type. We can also change after installation. We have completed the installation. After clicking Finish button WinSCP will automatically opened.